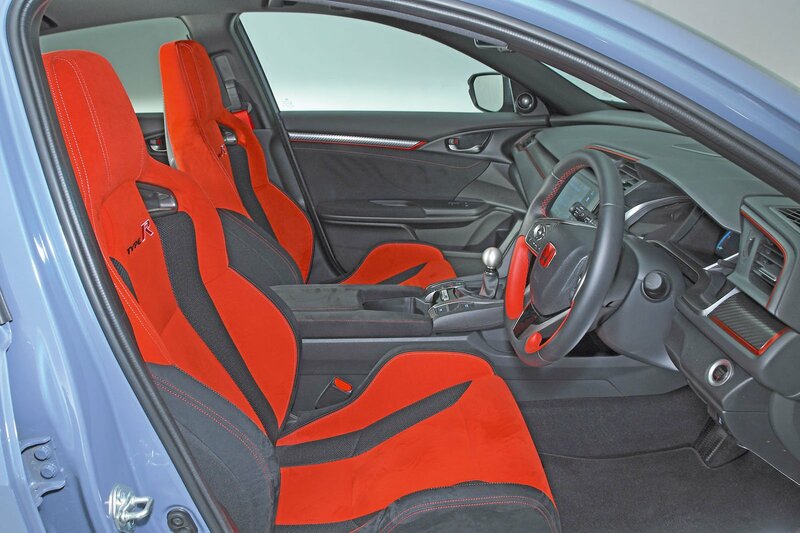 Honda Civic Type R Boot Space, Size, Seats | What Car? In the front, you’d have to be Hagrid to feel cramped, because head and leg room are both excellent. There’s plenty of storage space, including the usual allocation of two cupholders and a good-sized glovebox for your racing mitts. In the back, you'll find much more leg room than in a BMW M140i or a Renault Mégane RS. Head room is merely acceptable, due to the sloping roofline, but four six-footers will be perfectly comfortable on a long journey. 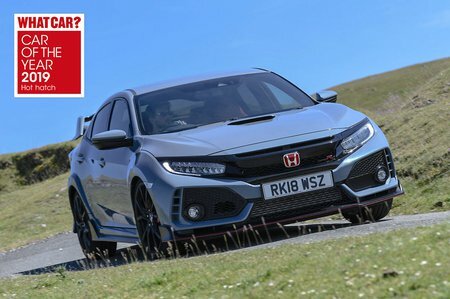 The boot is massive by class standards – bigger than both the M140i’s and Mégane RS's. It’ll easily swallow life’s mundane paraphernalia, such as pushchairs, large grocery shops or suitcases for the family holiday. 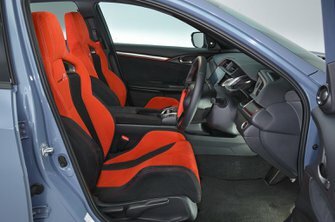 When extra room is needed, 60/40 split-folding rear seats come as standard; they lie completely flat when folded down.